Congratulations on your upcoming wedding! We have provided lighting and video for many Indian and South Asian weddings and know exactly what you need and more importantly, what you want! The most popular Indian Wedding Lighting services include Uplighting, Monogram projection on the wall or dance floor, Pattern Washes on the walls and pinspotting on the centerpieces and cake. This is considered “Decor” Lighting that makes any room gorgeous and elegant! These are your classic and timeless lighting upgrades that are still considered invaluable to any reception. We’ve even found a way to add subtle and elegant upgrades to the traditional monogram by making them digital for full color and even animated! Wedding receptions are beautiful and elegant affairs but they also have a fun dancing element to them later in the night. We respect this dichotomy and honor it with gorgeous decor lighting during the Grand Entrance, Dinner, First Dance and other special events and then transform your room into an amazing nightclub experience that your guests will never forget. Of course all of this is done to your comfort level. We don’t have to change the room at all if you want to keep it elegant and serene all night. It’s totally up to you. One thing to note is that these “intelligent / moving head / night club” lights can also be used for simple and elegant effects such as follow spotlighting for Grand Entrance, First Dance and Speeches. We also provide a front spotlight on the dance floor so all of your special dances and performances are seen clearly by all of your guests. Our experienced lighting techs will make you feel like a celebrity on your big day. 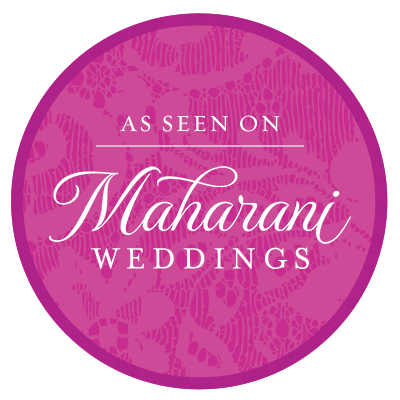 Karma Event Lighting is featured frequently on Maharani Weddings and is a preferred vendor with many of the valley’s leading planners and venues: Imoni Events, DB Expos, Chateau Luxe, Hyatt Regency Resort at Gainey Ranch – Just to name a few. Take a look at some of the videos and photos of our Indian Wedding Lighting below and let us know what you like and don’t like. Then we’ll have a free consultation meeting with you at our office or via video chat to discuss your personal vision.